Today I am up on the Leaky Shed Studio blog with my first Design Team project as part of their new Design Team. 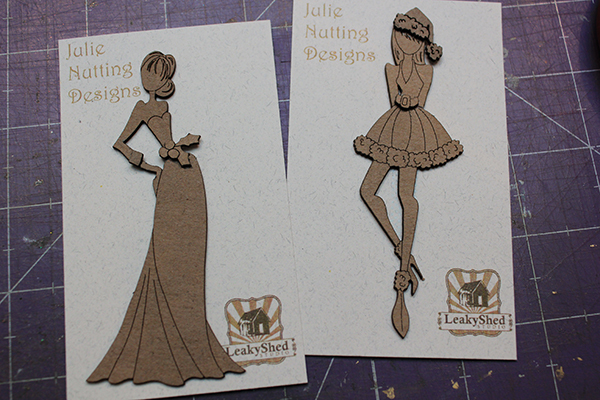 We were given the amazing Julie Nutting Chipboard Dolls to create with for our first assignment and I had so much fun "dressing up" these dolls. 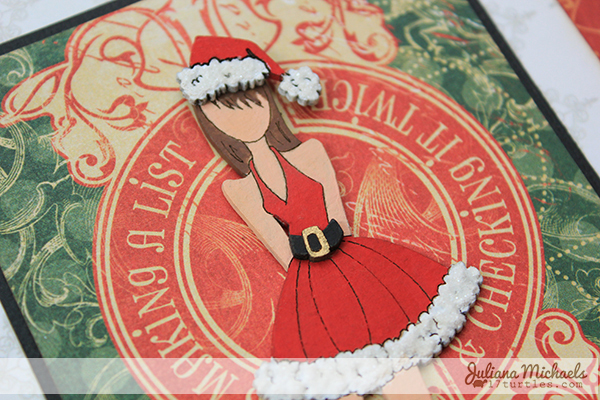 My card here was created using the Naughty or Nice Doll and paper from the BoBunny Silver & Gold collection. 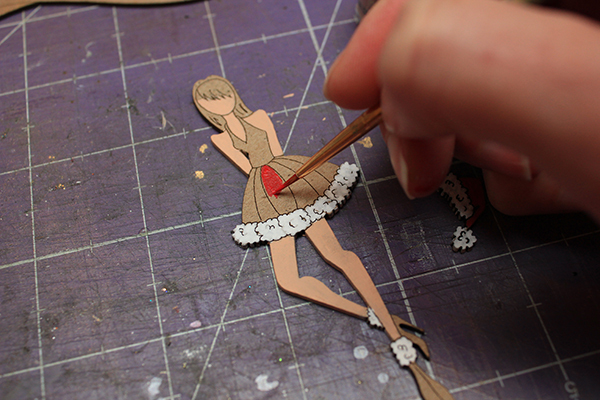 The chipboard dolls I worked with are just 4" tall! They also have them in an 8" version to play with. I painted every piece of the chipboard doll with acrylic paint. 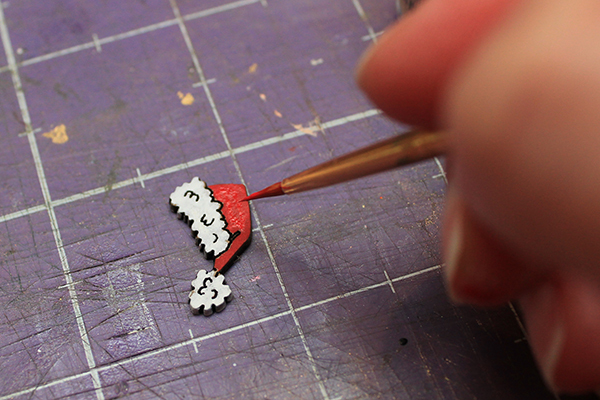 Filling in all the little spaces required a steady hand and very fine tipped paint brush! 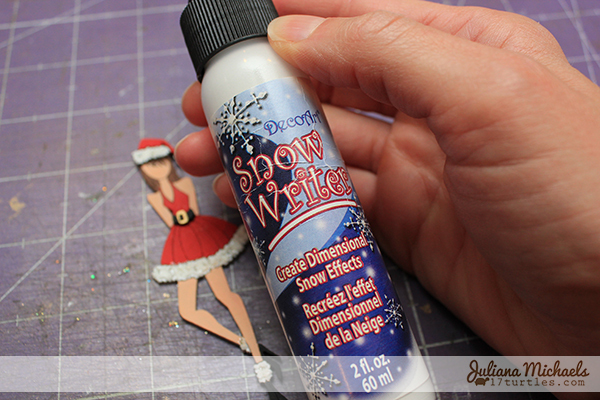 After I had the doll colored in as I wanted, I added this super cool product to the fur edge on her dress and hat...Snow Writer by DecoArt. It gives it a fun, faux snow look. While it was still wet I then added a little bit of glitter for some extra shimmer and shine. Because it took me quite some time to do all of the painting to decorate the Nutting Doll, so I decided to keep the card that I placed her on very simple. The overall finished card size is 6.5" x 4.5", which is larger than standard size, but I will most likely be giving these in person instead of mailing them. Chipboard: Leaky Shed Studio / Julie Nutting Naughty or Nice 4"
If you enjoyed this Christmas Card, please pop by the Leaky Shed Studio Blog to see another card I created with one of the other Julie Nutting Dolls called Holly and her gorgeous GOLD dress created using a Krylon Gold Leafing Pen! Awesome Juliana!! 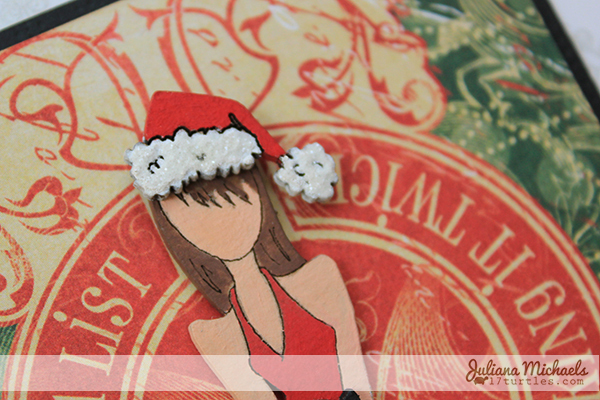 Love how you added the color to the chipboard piece with the acrylic paint and the faux snow look is so fun! Wow! This is awesome, Juliana! Love the look of the faux snow and sparkle! OMGoodness, how adorable! LOVE what you did with that chipboard!